Swarowsky knew Willi Reich since the 1920s, when rivaling for Julia Laszky's love. 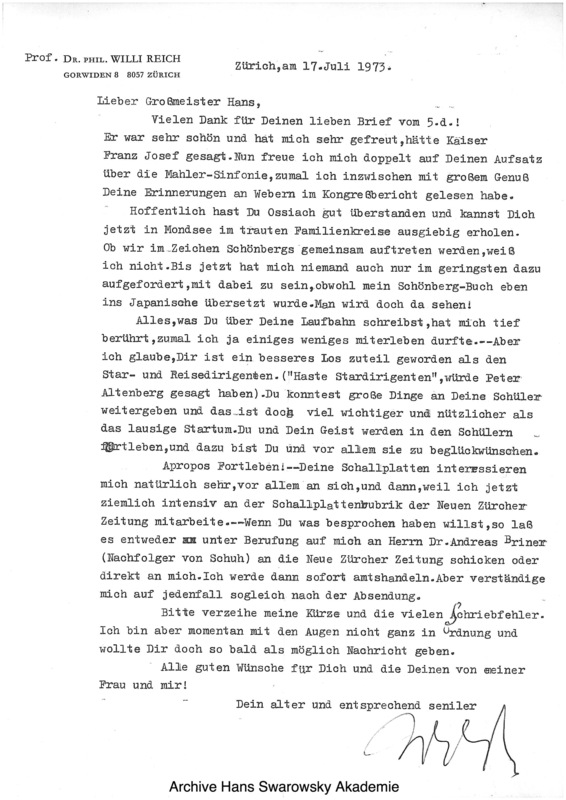 It's Willi Reich who introduces Swarowsky to Siegmund Freud. 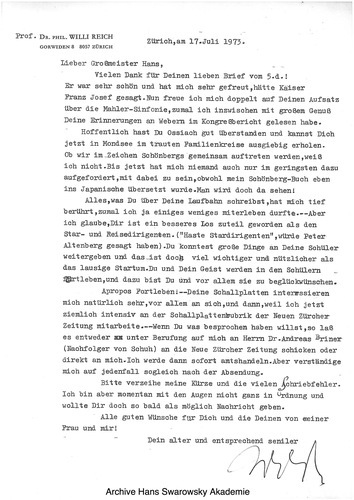 In this very friendly letter, Reich asks about a Mahler article Swarowsky wrote, mentions that his Schoenberg book has just been translated into Japanese and offers to review Swarowsky's recordings for the Neue Zuercher Zeitung, signing off as his 'old and commensurately senile friend'.